On the postcard: Dawn sunlight on Edinburgh Castle and the Old Town viewed from Salisbury Crags. There are two things appeal me from this postcard sent by my colleague William Apriando. The first one of course the picture in the postcard. As of now, I’ve never had a chance to visit any castle. And the picture of Edinburgh Castle and the Old Town really build a romance in my head (and heart). The second one is Loch Ness. I am interested to search why Willy mentions it in the postcard? This is what I learned from Wikipedia. Loch Ness is Scotland’s (if not the world’s) most famous lake (or ‘loch’ in Scotland). It runs for 23 miles (37 km) along the natural geological cleft that stretches from Fort William in the west of the Scottish Highlands, to Inverness in the north. About a mile wide at most places it is the purported home of the Loch Ness monster, a possibly mythical creature, which dwells in the Loch and is occasionally spotted by locals and passers-by. The sightings claimed lend credence to the remote possibility of a group of survivors of the long-extinct plesiosaurs (which lived up to around 65 million years ago). Funny thing is when I had a chance to take a trip to Great Ocean Road in Victoria, Australia, on the road trip, I also visited a beach named Urquhart… and it is the name of the above castle! 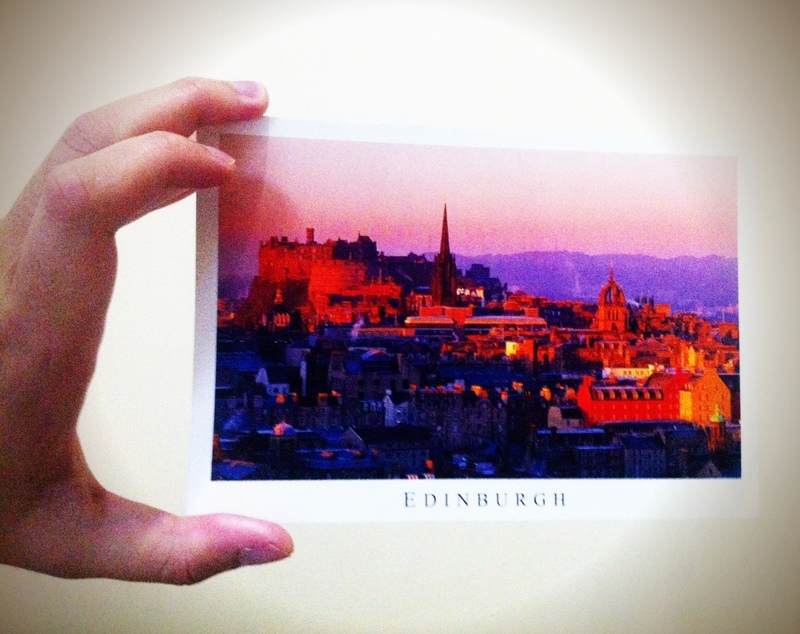 Hope it’s a sign that I will be able to visit Edinburgh someday. Separated from that, Willy also the one who initiated a tourism digital activity named Travel Talk ID, where anyone can share their traveling story through simple video. He shared his trip to Scotland through this video. Thanks Willy! and please keep sending me postcard! Tags: Postcard, The Dream. Bookmark the permalink.